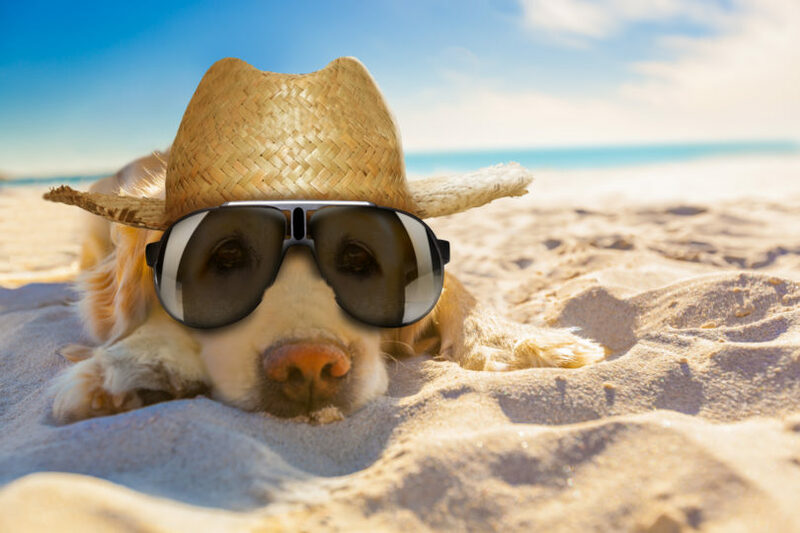 You might like to bake on the beach, but beware of the Southern summer on your family pet. For those who don’t live in the South, summertime in Georgia may bring thoughts of front porches and sweet tea. But for those who live below the Mason-Dixon Line, there is one inescapable constant each summer: the heat. The intense heat and humidity in the southeastern U.S. is hard not only for people but for dogs as well. Benjamin Brainard, Edward H. Gunst Professor of Critical Care and director of clinical research at the University of Georgia College of Veterinary Medicine, provides practical tips for keeping your pup happy and healthy during the blistering summer months. Do not leave your dog in the car. Ever. Always provide water and shelter. One of the major heat-related emergencies regularly treated at the UGA Veterinary Teaching Hospital during warmer months is heat stroke. Leaving a dog outside without access to shelter from the heat or fresh water can lead to heat stroke, a potentially fatal condition caused by overheating. If possible, on days with severe heat, bring your dog inside. And remember that humidity is just as dangerous to a dog as the heat. Keep in mind that if you’re hot and thirsty, your dog probably is too, so when traveling or exercising, make sure to bring enough water for both of you. Restrict excessive activity in the heat of the day. Even if you run with your dog every day during the winter, the animal may not be prepared to do the same amount of activity in hotter, more humid weather. This is especially true for dogs that are not used to the climate. But don’t expect your pups to say “No” to a game of fetch just because of the heat. “There are some dogs that will continue to push themselves no matter what they feel. If you throw a ball, they’ll continue to fetch it.” In those situations, you may have to make that decision for them. 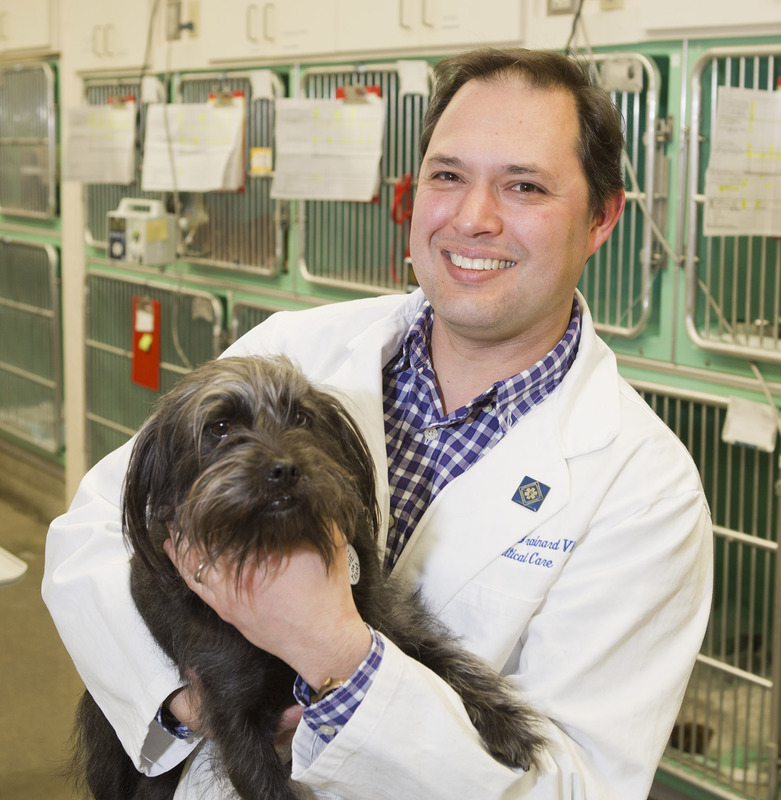 Benjamin Brainard is the Edward H. Gunst Professor of Critical Care at the College of Veterinary Medicine. The heat is harder on certain dogs. Older dogs and obese dogs can’t tolerate heat as well as other dogs can, meaning that they may need more frequent breaks to cool off and rehydrate. Additionally, certain breeds are more susceptible to overheating because of their build. Pugs, bulldogs and other “flat-faced” dogs are particularly vulnerable due to their short muzzles. Don’t assume your dog knows how to swim. We’ve all heard of doggy paddling, but that doesn’t mean that all dogs know how to do it. “If you take your dog out on a boat or to the lake, be sure you know they can swim ahead of time,” Brainard said. For any dogs exposed to or going into deep water, invest in a doggy lifejacket. Protect against the summer critters. Summer is flea season. Treat your pets using the correct flea prevention medication based on animal type and weight. Flea treatments aren’t interchangeable. Those made for dogs can be toxic to cats, so owners should keep cats and dogs apart until after the topical medication dries. Snakes are also more active in the summer months. If you take your dog hiking or into densely wooded areas, be aware of your surroundings. If your dog needs more coverage, you can also buy protective clothing to limit sun exposure. When in doubt, ask a vet. If you have questions about sun exposure, flea prevention or heat exposure, call your vet. Another helpful resource is the ASPCA (American Society for the Prevention of Cruelty to Animals), which has a 24-hour poison control hotline and emergency medical guides on its website.